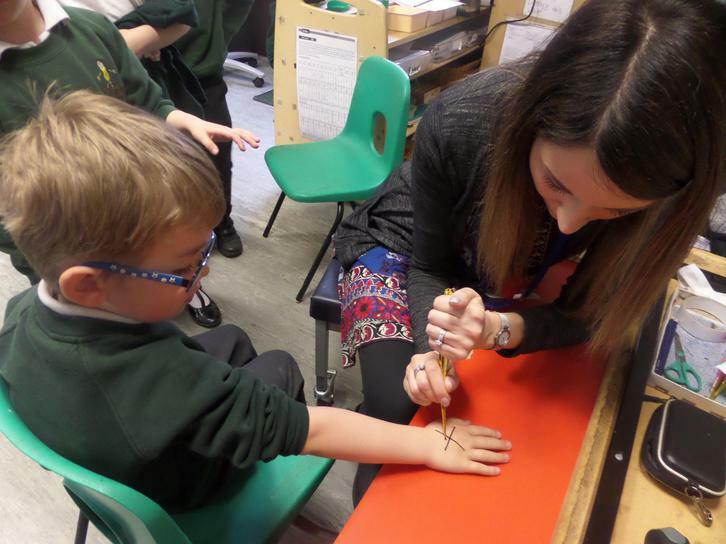 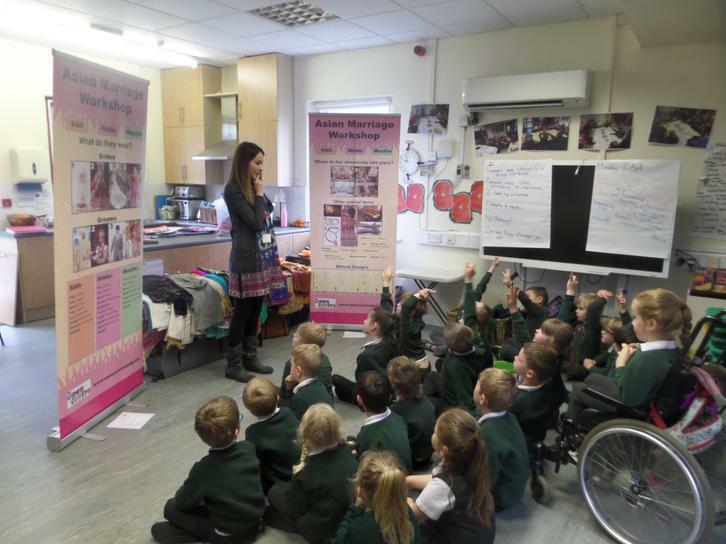 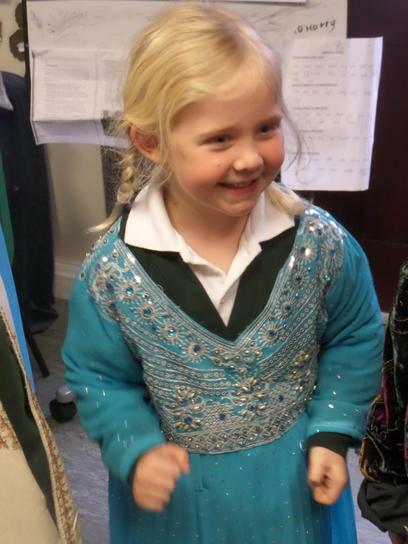 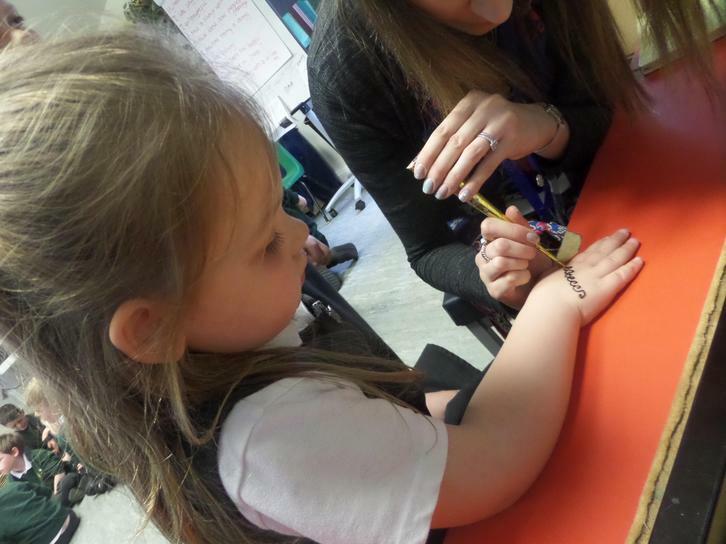 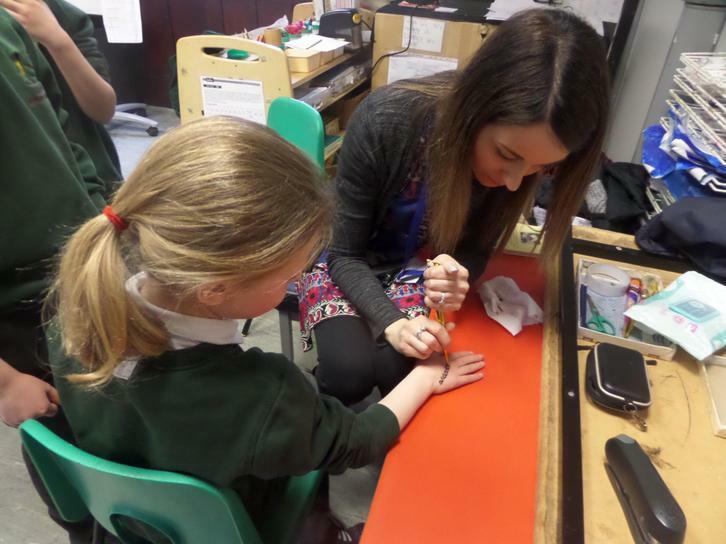 Last week the children took part in a wonderful workshop ran by the Derby Centre. 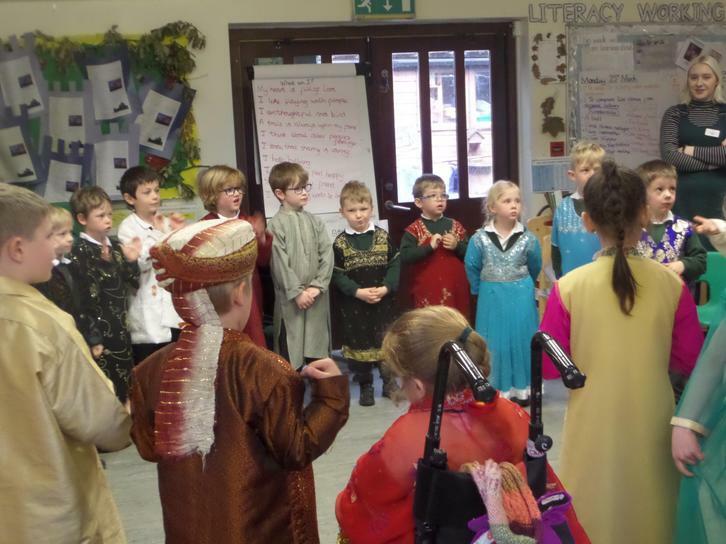 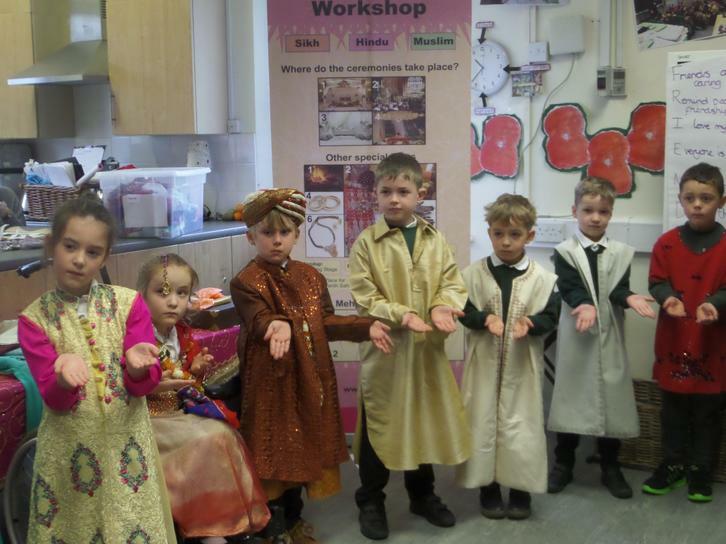 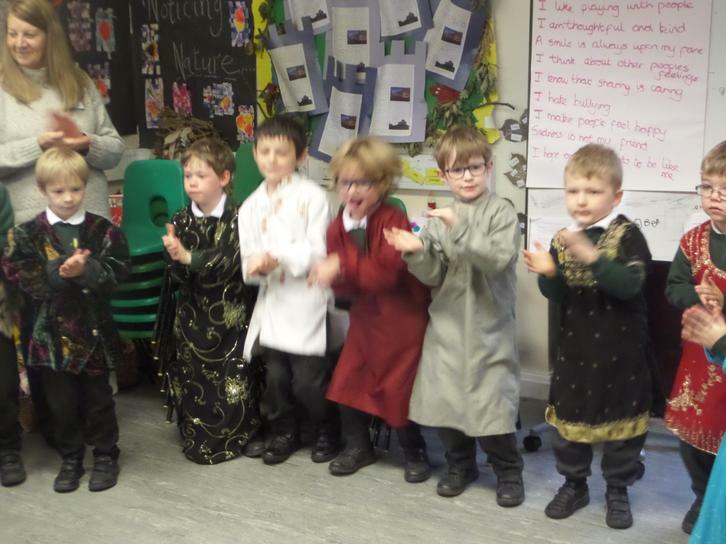 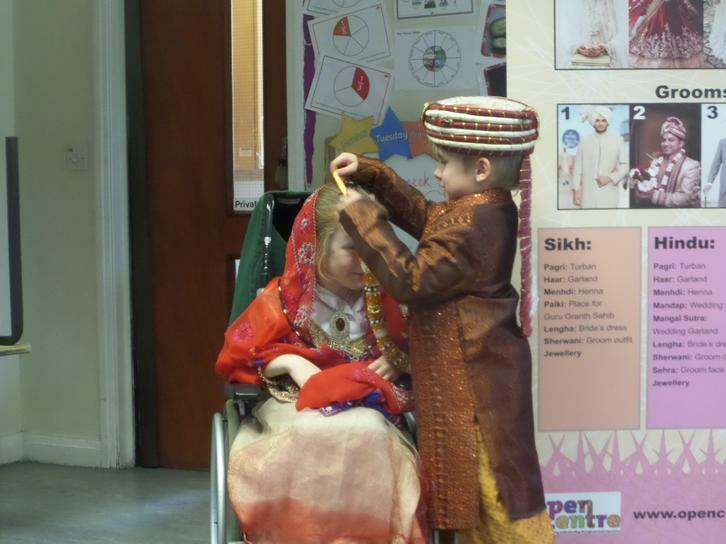 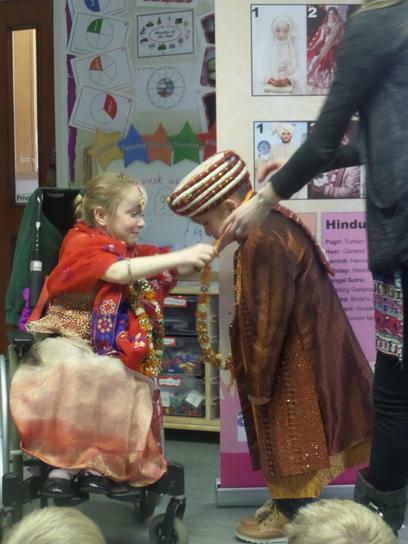 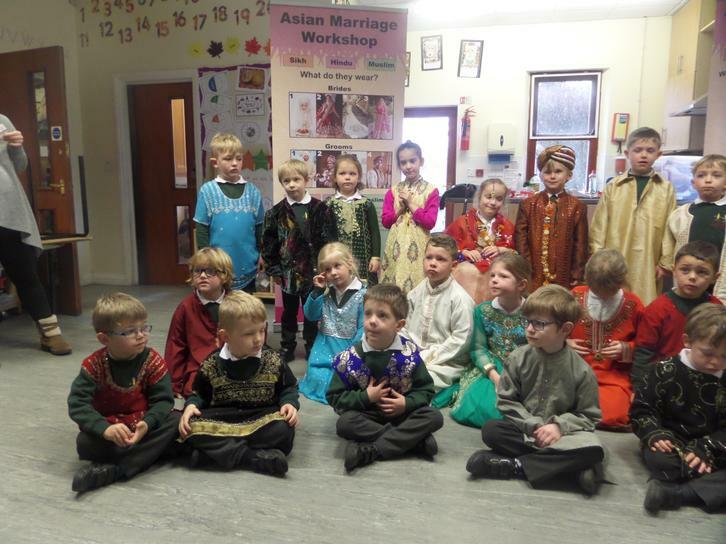 They learnt all about Hindu, Muslim, Sikh and Christian weddings. 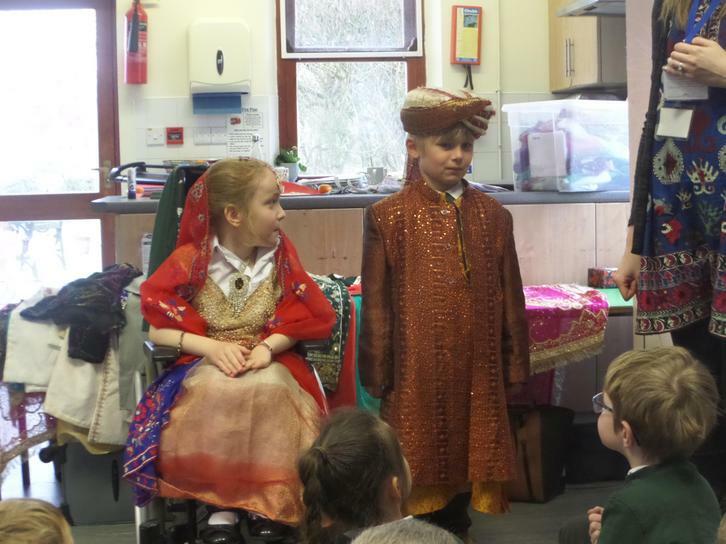 They found out what each bride and groom wore, where the weddings take place, how long the wedding lasted, the celebrations and the different types of dance. 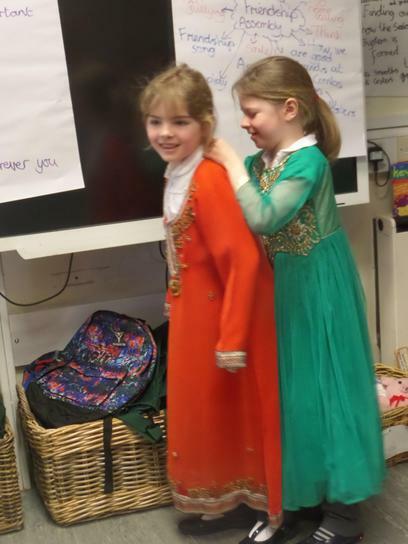 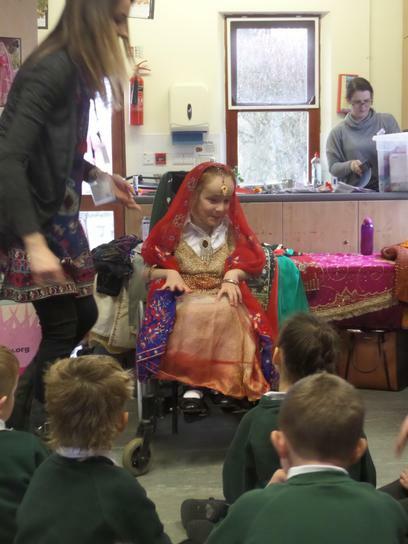 Two of the children were chosen to dress up and act as the bride and groom at a Hindu wedding, the other children all dressed up in the lovely clothes. 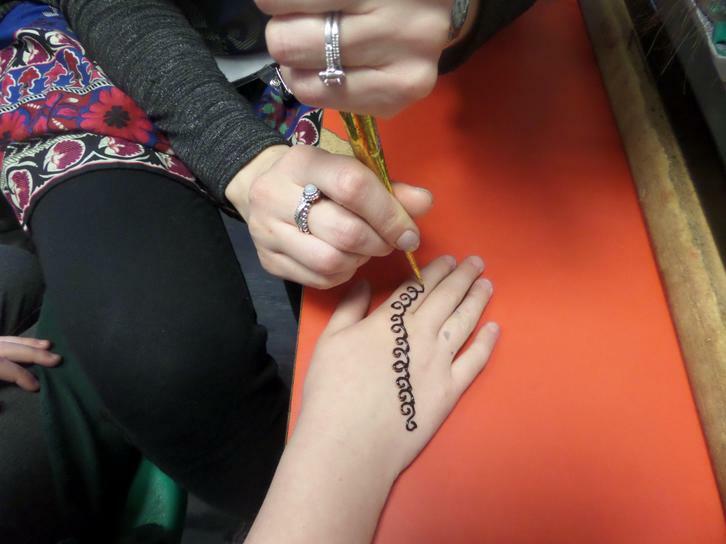 They learnt dance moves to Bollywood music and had Henna tattoos designed on their hands. 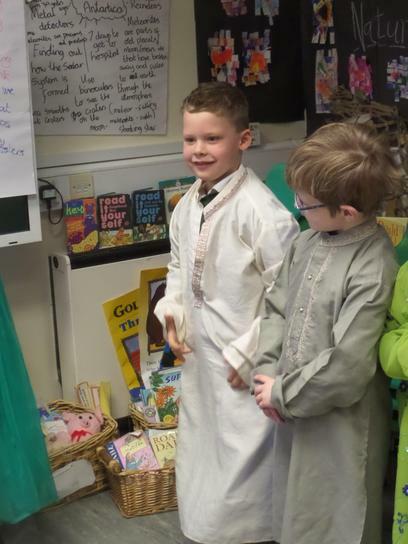 All the children thoroughly enjoyed this experience, created a display for their classroom and wrote all about what they had learnt.